We wanted to add some simple and functional storage to our guest bathroom while keeping a farmhouse feel. 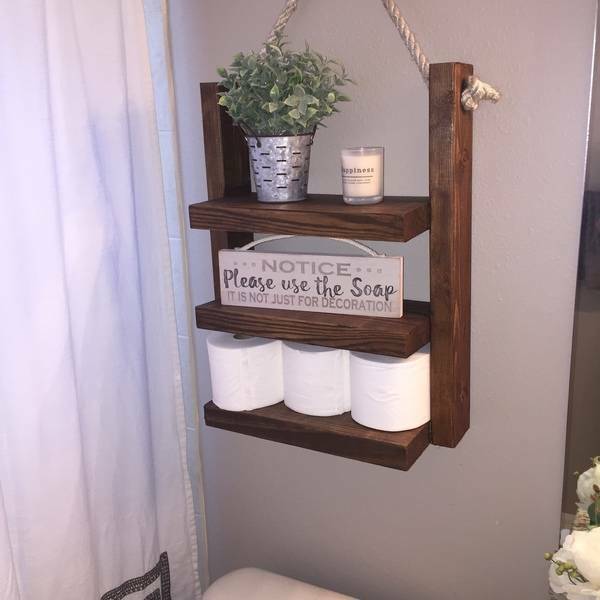 Made from a few pieces of scrap wood and a piece of rope this project took under 30 minutes and spruced up the bathroom a good bit! 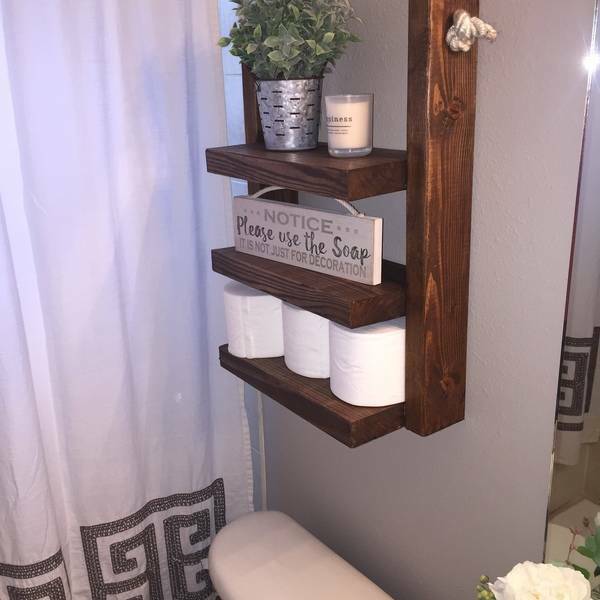 Great job on this shelf! It's the perfect size! Did you modify the plans to make it your own? Thanks! There were no set plans when making this. Just a random picture from the Mrs and then took off from there. Really cool! my wife would love that. I just so happen that I have some scrap wood also. might give it a shot this weekend. Do it! Super easy brownie points and if you have 3 rolls of toilet paper you have yourself dimensions haha! you talked me into it! cheers!